When it comes to blocking noise, Howard Leight reigns supreme with workers. Howard Leight’s noise blocking earmuffs are designed with all-day comfort in mind, delivering the user unmatched comfort and attenuation. Our line of noise blocking earmuffs and hearing protectors offer: consistent overall attenuation, rugged construction that withstands harsh treatment in rough environments, and comfortable ear cushions that are easily replaceable. 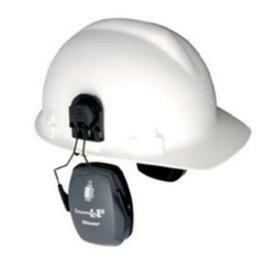 Howard Leight hearing protectors are suitable for virtually all workplaces and come in cap-mounted, folding, over-the-head, behind-the-head, below-the-chin, and traditional styles. For over 30 years Howard Leight have been known as the leader in hearing protection development and innovation. Howard Leights noise blocking earmuffs deliver passive noise protection with an NRR of 18 in the Mach™ 1 to 26 with the Thunder® giving you choices when it comes to attenuation and fit.